As cat owners, it’s our duty to look after our feline friends. We can provide for their diet, help maintain their coat, and make sure that they keep safe at night with collars and cat flaps and microchips, but sometimes they may have issues beyond our control. One common issue a cat can have is with its digestion. Whether it’s from food that’s too rich, an unusual diet, something that they have eaten which is bad for them, or if they have a sensitive stomach to begin with, a lot of cats struggle with an uneasy gut. Probiotics are a simple solution which can really help a cat’s digestion, as long as they are provided as part of a healthy, balanced diet, and you manage to get the right one which will suit your cat’s needs. 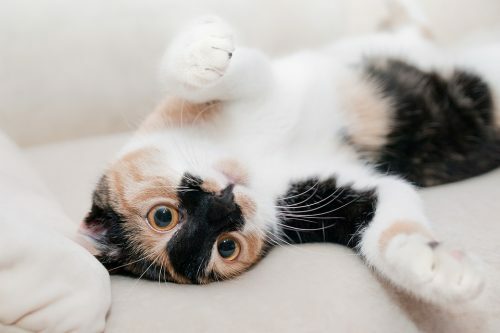 In this article, we will be assessing just what probiotics are, when you might need to use them, and we will be comparing and asking the question: what are the best probiotics for cats? Probiotics are a medication that you may have encountered before in your own diet. In layman’s terms, they are capsules or powders containing so-called ‘good bacteria’ which help redress a balance of bacteria in the gut which is already there. The already present bacteria in your intestines is there to help with the absorption and digestion of foods. And it’s no different in cats. 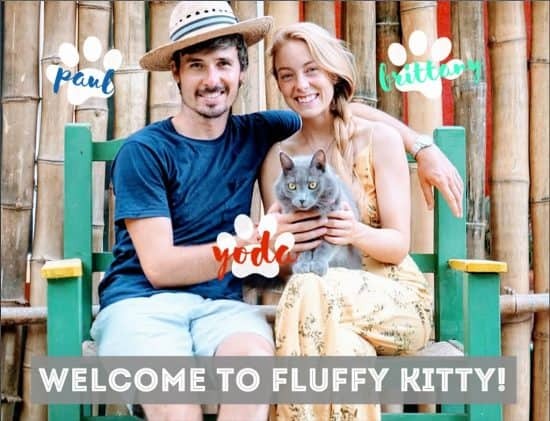 The micro-organisms in cat probiotics can contain any or all of the following: Lactobacillus acidophilus and other Lactobacillus species, certain strains of Bacillus, Enterococcus, Bifidobacteria, and Streptococcus. If that sounds overly scientific, there’s no reason to be afraid. These living organisms perform a multitude of functions. 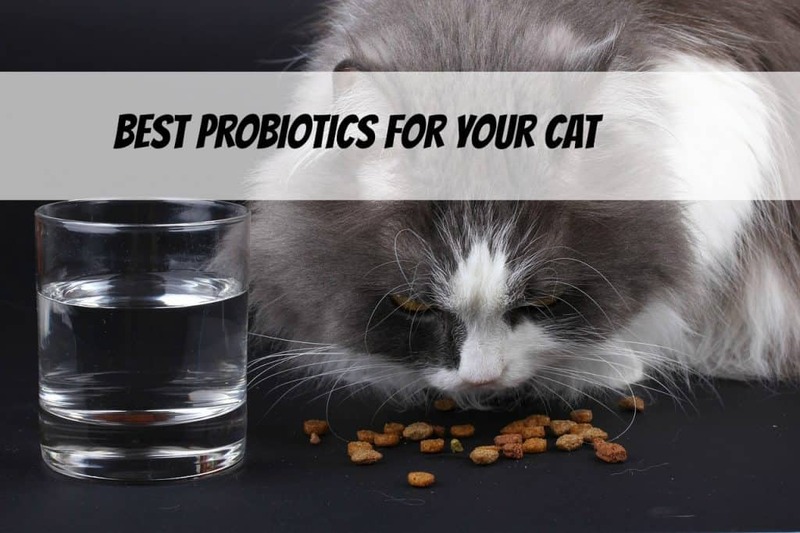 The best probiotics for cats assist with essentially everything. From producing digestive-enzymes, to manufacturing vitamins, to strengthening the cell wall of the gut and GI tract. All of this means that it can help your cat’s digestive system. It can also provide them with more energy, while also ‘detoxifying’ their insides. 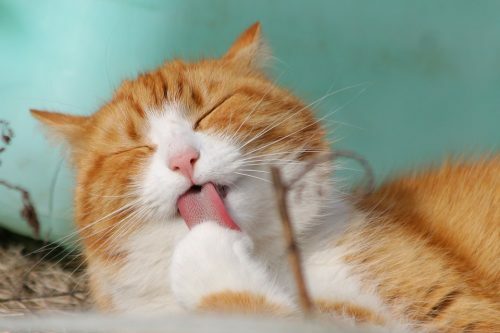 Cat probiotics can also contain compounds on which the bacteria in the gut feeds. But with this comes a note of caution: It is food for both beneficial and harmful strains of bacteria. So it is best when giving probiotics to cats to do so sparingly. When Should I Give My Cat Probiotics? Cats, as we’ve already discussed, can easily suffer from a GI imbalance. While you may be feeding them adequate amounts of food, tailor made to suit their nutritional needs, they are so much more complex than their diet. Cats can become ill from environmental stress, such as a change of location, travel, surgery, unfamiliar surroundings or the presence of other animals. Even slight changes in the diet you are providing may trigger this. The first signs that they are ill will often be shown in the their digestion. You may notice an increase in diarrhea, or they may become very lethargic. Kittens are incredibly susceptible to unhealthy guts. They may suffer from increased hairballs, constipation, even skin irritation. Worst case scenario, increased inflammation of the gut can lead to lymphoma. These are all tell-tale signs that your cat may be suffering, and may in need of probiotics. If you’ve analyzed the symptoms, or talked to your vet, you may have decided that this is the right course. What Are the Best Probiotics for Cats? Now that we have covered what probiotics are, and when you might need to consider administering them, you are probably asking: “What are the best probiotics for cats?” Probiotics are available for sale online, through sites like Amazon, and they are about as varied and multitudinous as cats themselves! Here is our selection of the best probiotics for cats. 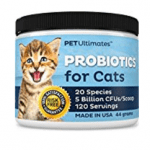 Boasting over 5 billion CFU (colony-forming units), this offering from Pet Ultimates is a USA-made probiotic that contains 20 species of bacteria (people advice typically to aim for probiotics that contain at least 10). Rather than a capsule, this is powder that you sprinkle onto the food. But don’t worry, when you order you get clear instructions about how to administer it and how best to store it. These easy to take capsules from Nutramax have got people raving that it does wonders for IBD (inflammatory bowel disease) in cats. IBD can be a real problem especially in kittens. 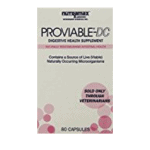 Thanks to the biological makeup of this particular probiotic, they can be used as a standalone aid for cats with weakened immune systems without the need to be given with food. 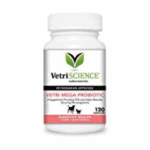 Boasting the number one spot on the probiotic market for Amazon (for dogs, although their are transferrable), VetriScience Probiotic contains slightly fewer strains. 8 species with 5 billion microorganisms each. These capsules are non-dairy (which contains lactose which is hard to digest for most cats), and are one size fits all. They can be divided up even for small cats with small stomachs. Simien’s Pure-all boasts that it is both preventative and therapeutic – with a description that tackles one of the common symptoms of an unhealthy gut, the ‘lack of energy’. Some customers rave that this is the one with the best ‘taste’ (most avoiding flavor at all), significant as some medicine can get avoided (see: eaten around) by a savvy cat. But most owners are satisfied with the way that the 100% natural ingredients have helped their cat’s digestion. Best of all, you get a free ebook about pet food on purchase. Unlike the other brands, this one doesn’t require refrigeration. Now you know what probiotics are and why you might want to use them. 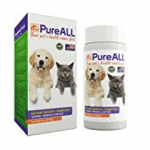 Probiotics are a good step in reducing any gastrointestinal problems which you cat might be suffering from. GI problems may have developed from a bad diet, a weak immune system, or just stress. Whatever happens, there are many remedies that can aid you in helping your pet recuperate. Aside from using medicine, you need to remove sources of stress as best you can, as well as not tampering with it’s eating habits too much (also, avoid feeding it milk or other kinds of dairy – use cat food and water only!). The best probiotics for cats are ones that you can administer in a way that they will personally enjoy. Or at least not notice and are not intrusive. Remember: Seek out probiotics that have a special formulation, are easy to store, and contain enough bacteria to redress any imbalance in the gut. Next Post How to Compost Cat Litter and Should You?